The Tom Maze Transportation Seminar this week will feature Rajesh Rajamani, a professor in the Department of Mechanical Engineering at the University of Minnesota. Dr. Rajamani’s main research interests include sensing and estimation for autonomous vehicles and other smart systems. He received his bachelor’s degree from the Indian Institute for Technology at Madras. Additionally, he completed both his master’s degree and Ph.D. at the University of California, Berkeley. Dr. Rajamani’s inventions have been commercialized through start-up ventures co-founded by industry executives. One of these companies, Innotronics, was recently recognized among the 35 Best University Start-Ups of 2016 in a competition conducted by the US National Council of Entrepreneurial Tech Transfer. 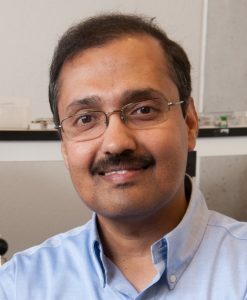 Dr. Rajamani’s presentation is entitled “Novel Sensors, New Estimation Algorithms, and Active Controls: Technologies for Improving Highway Vehicle Safety and Mobility.” He will be presenting live between 11:00 a.m. and noon from Iowa State University’s Institute for Transportation (InTrans). For more information about the seminar and to see a schedule, visit http://www.intrans.iastate.edu/mtc/index.cfm/education#transSeminar.